Dainty drop earrings featuring 5mm Black Chinese style, ceramic enamelled balls with 9ct gold fittings. 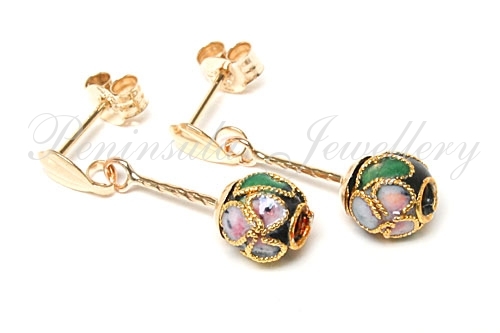 Dimensions: 18mm from top to bottom, 5mm round bead. Made in England. Supplied in a luxury gift box – Great Gift! !